Pike County Conservation District Board and Staff completed their annual Keep Pennsylvania Beautiful road cleanup maintaining just over two miles along State Route 402 near the District office. After the Conservation District’s April 2016 Board meeting, District Board and staff picked up over 30 bags of garbage along this section of state highway in Blooming Grove Township. Pike County Commissioner Richard Caridi, also a Conservation District Board member, and Commissioner Matt Osterberg helped with this year’s clean-up. This annual Adopt-a-Highway cleanup is completed in partnership with the Pennsylvania Department of Transportation’s Great American Cleanup of PA campaign. 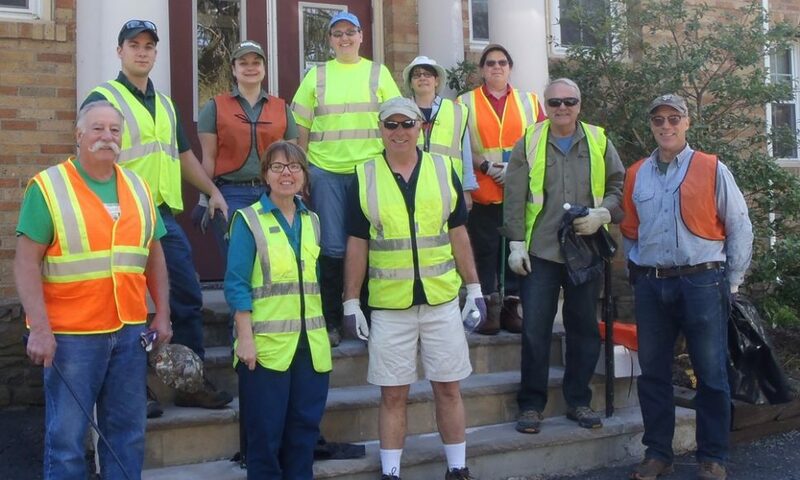 Groups and individuals can show care for the environment by getting involved in the PennDOT program and volunteering to clean up a section of roadway; visit PennDOT’s website for more information.